As a State Senator, Mike Johnston made a specialty of advocating for improving pre-K through 12 education, combining a broad mix of higher starting salaries, professional training and accountability. Today, Johnston has more breadth in his thinking and positions. He advocates for a trajectory of replacing coal based fuel with natural gas, then renewables, giving battery technology time to develop. To put PERA on stronger footing he would make the cost of living increase variable depending on the economy. As to water, he would add storage and incentivize urban areas and farmers to conserve. To make college more affordable, Johnston would make the first two years tuition free at public institutions in exchange for working for a period of time for the state. “The Colorado Promise,” he calls it. To at least partially meet the state’s highway needs, Johnston plans to support the sales tax question expected on the November ballot. Donna Lynne, who has served for two years as the state’s lieutenant governor and chief operating officer, has had a career in government and corporate worlds. Arriving in Colorado in 2005, she was Kaiser Permanente’s CEO and led that significant insurance provider in progressive ways to expand community access and the number of insured. It was Lynne’s experience in health care which appealed to Gov. John Hickenlooper when he filled the lieutenant governor’s position vacated by Joe Garcia’s resignation. Lynne says Hickenlooper has involved her in every issue which has come to his office, and has respected her contributions. She is an advocate for the outdoors and public lands, and in her 50s climbed all of the state’s 14,000 foot peaks. Jared Polis is giving up a secure seat in Congress from Boulder County to run for governor, and touts the value of his time in Washington to many of Colorado’s issues. Polis started and sold a couple of successful small businesses, and has self-funded his campaign. He would advocate for smaller classes and better paid teachers, and expand co-curricular opportunities for high school students taking college courses. He would strengthen early childhood education and advocate for additional charter schools. In his view, homelessness can be reduced with additional mental health services, substance abuse treatment and lower cost housing. He values the minimum wage, and would encourage more employee-owned businesses. He defends the public lands in the state, and says he would “go toe to toe” with the president to protect federal lands. As a Congressman, he has opposed the president on most, if not all issues. Cary Kennedy served two terms as state treasurer before becoming deputy Denver mayor and that city and county’s chief financial officer. As treasurer, she worked to put PERA on better financial footing by advocating for reducing the expected fund earnings, and she was a leader in creating B.E.S.T which built schools in limited-funded communities across the state. 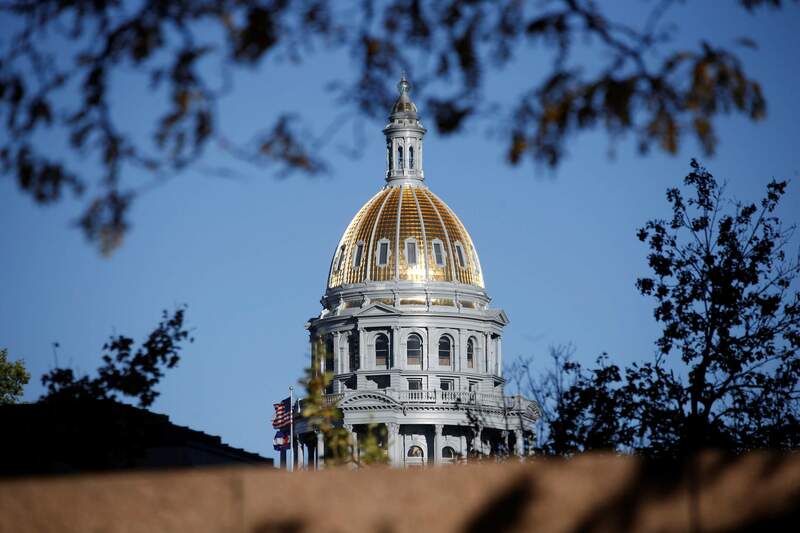 She said she will “lead Colorado to universal health care coverage” at least partially by allowing individuals to buy into the Medicaid program or into the same private plans which state employees enjoy. And, she would create a state-wide housing fund to finance, construct and maintain the housing supply. As to water, she says that each watershed is unique and she would encourage local communities to implement their own water plans. Of the four, the Herald’s editorial board gives the nod to Donna Lynne. Her leadership in Colorado of a forward-thinking health insurance company and her two years alongside Colorado’s governor give her a critical head start in leading the state. Increasing health care accessibility and maintaining or reducing costs are of top importance. So, too, are improving student performance. At the same time, Donna Lynne knows the value of public lands to Colorado’s appeal and economic strength. We hope that Democrats will vote Donna Lynne onto the November ballot.